Your standard paperclip has a design so perfect and so simple that it seems inevitable–and obvious. It wasn’t. 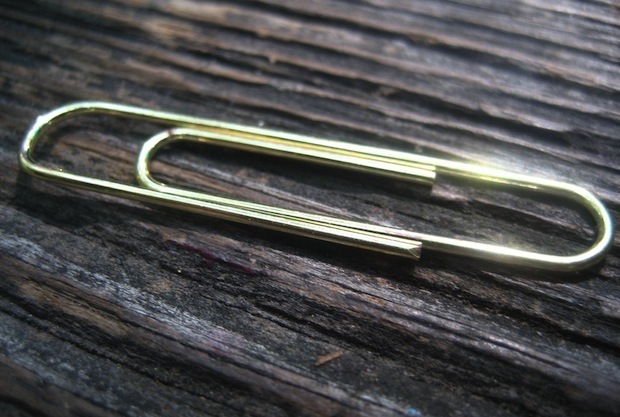 The Gem paperclip is actually the last clip standing in a war over paper clip design that lasted decades. Grids points to this lovely paper clip gallery created by the Office Museum showing just how many competing designs once existed. And it illustrates why all of those eventually died out. Each of them fails one of the criteria above; almost all are either pokey or over-complicated (and materials intensive); and they’ve all come and gone, as the market has gradually recognized all of their short comings. No joke: Like some hairless ape elevated by years of Darwinian selection, the Gem remains standing because no other solution is nearly as good. If you’re looking for the perfect symbol of market capitalism, the Gem clip might be it.